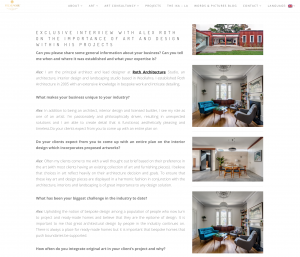 Alex gave an exclusive interview discussing the importance of art in both interior design and architecture and its priority to our clientele. 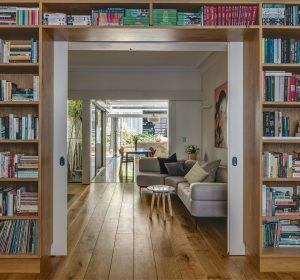 The role a piece of art plays, whether it be the basis for a scheme or inserted at the final stages, is vital in creating a link between interior space, the architectural shell and the environment it is placed in. Exploring the method of choice, Alex explains his process of choosing pieces which reflect the core value of the space while also maintaining and inserting the essence of the client, their needs, wants, passions and interests. For more on where he predicts design is moving towards in the future, the selection process of pieces, his own preference and personal collection and the struggles and tribulations he has faced and witnessed during his 15 year career, follow the link below.